Enable logging: This sounds like an obvious rule in an article about logging, but double check you have enabled logging (in whatever tool you use) before deploying your application and don’t solely rely on your infrastructure logging.  Categorize your logs: As an application grows in usage, the amount of logs it generates will grow and the ability to filter logs to particular categories or error levels such as authorization, access, or critical can help you drill down into a barrage of information. And now to everyone’s favorite topic, tools. And that’s about it. For more useful logs, you need a bit more information including a level, a timestamp, and formats suitable for humans and machines. You could implement some of this yourself based around console by passing in string replacements and some less common methods (read more on MDN), but there are simpler ways. Using console.log can cause performance issues and cause problems when trying to read these logs from a file into log collection tools as it prints the data with line breaks and causes the log collectors to split multi-line logs into separate entries. Bunyan is a mature and popular option for node logging, currently at version 1.8.x that has a single purpose. 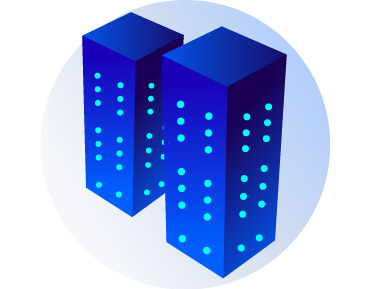 It creates well-formatted JSON versions of your logs, which is particularly useful for those of you using external services to read your logs (see more below). Which isn’t so human readable, but you can pipe this to the bunyan CLI tool, creating output suitable for you and any external services that work better with JSON. Morgan is another popular package designed for one specific function, logging HTTP requests in the Express framework. You’ll see it adding output to other screenshots in this article, and if you follow any basic Express getting started steps, you’re using it already. Which results in the following output. For those of you developing applications that you distribute to others (including NPM packages) you’ll want to view logs whilst developing and testing, but hide them from end users. 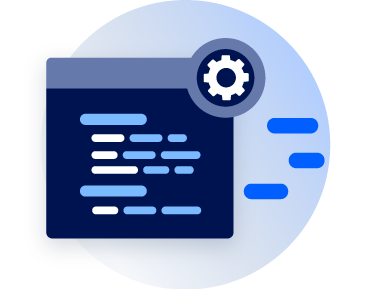 The debug package is a long-standing and popular tool in any Node developers toolkit that you can have present in your application, but toggle its output for when you need it. Enable it by prefixing your application script command (read the documentation on how to customize this to suit your application), e.g. For more complex applications with greater or custom logging needs, Winston enters the fray, and possibly (based on git commits) the oldest option in this article. 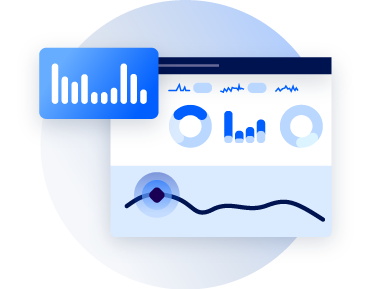 It allows you to define your own logging levels, custom loggers (and destinations), add metadata, maintain multiple asynchronous logs and more. And this example shows how to define different message types on the fly and also how to set a log level until you change it again. 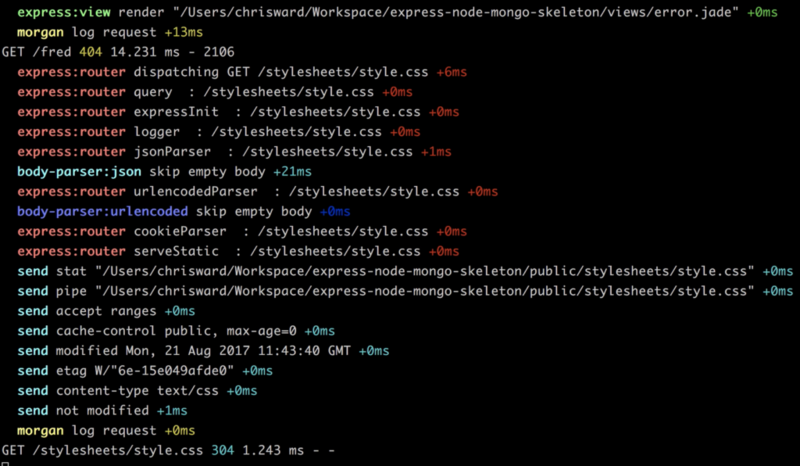 And for those of you using Express, there’s middleware for Winston. A lesser-known option is the intel package, it offers similar features to the other options above, but provides a lot of default logger types, filters, and formatters. One interesting feature is that if an exception is triggered it will include a stack trace as a JSON object, giving you useful information for fixing problems. Also, intel has hierarchical loggers meaning you can pass messages up the logger chain if it meets certain criteria, kind of like levels in a support department. With all of these options you will still need to parse, process and understand your logs somehow, and numerous open source and commercial services can help you do this (search NPM and you’ll find lots), I’ll highlight those that support Node well. The YAL package lets you define remote TCP loggers and send your logs there. It supports log levels, sets timestamps, hostnames, and multiple destinations. 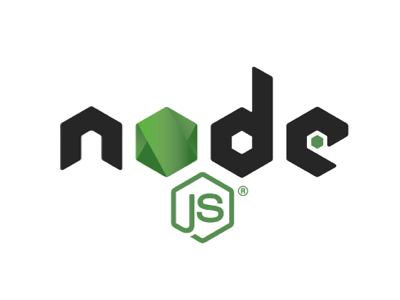 log4js-node is a node version of the venerable log4js framework and offers a comprehensive feature list much like the two options above, and adds an API to provide plugins that can connect to external logging providers. If you’re a fluentd user, then naturally there’s a Node package that also integrates with log4js and Winston. 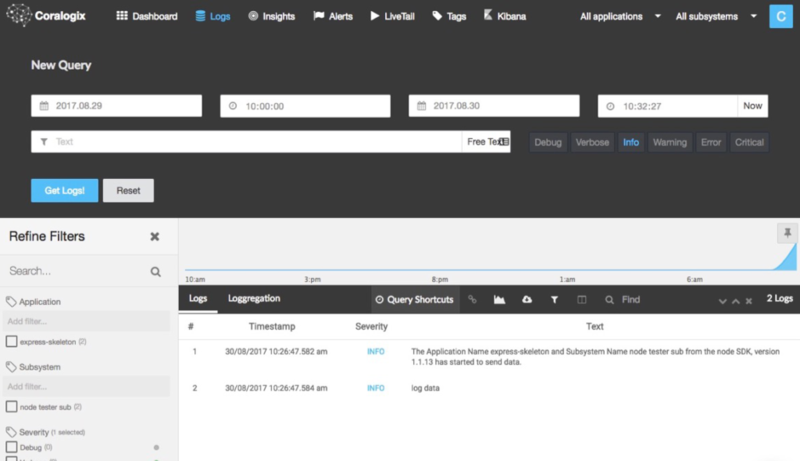 If Kibana is your platform of choice, then this package for Winston will format your logs to better suit it. Loggly’s package supports tags, JSON objects, arrays, search, and a variety of options for what to log in the first place. Airbrake’s package is more suited to error and exception handling and also supports Express and the hapi framework. And of course, Coralogix’ own package allows you to create different loggers, assign a log level to them and other useful metadata. 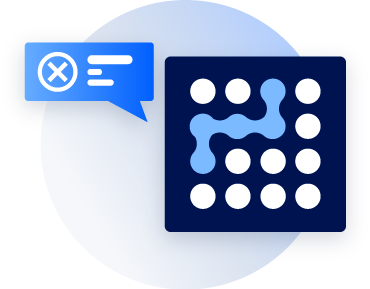 In addition to all standard logging features, such as flexible log querying, email alerts, centralized live tail, and a fully hosted Kibana, Coralogix provides machine learning powered anomaly detection in the context of Heroku builds. Coralogix also has integration options for Winston and Bunyan keeping you covered no matter what NodeJS option you choose. With Winston, create configuration the same as above and add Coralogix as a transport. And for Bunyan, again create your configuration and create a logger that streams to Coralogix as raw data, you can also use Coralogix as a child logger of other loggers.